Some messages are written in Japanese. "Influences and Connections" will be released. Billy, Pat and Richie played on the album. "Sincerely...II - Mariya Takeuchi Songbook -" was released on April 16th. Eric played on "Cheer up" ("Genki wo Dashite"). Blues Jam / Who Am I Supposed To Be? Eric played on "Just Another Day", Harry Hess's (Harem Scarem) new solo album. He played on "Look Right Through Me". Richie's new album "Change" will be released on March 19th in Japan. Billy played on "Out Take" and Pat played on "High" and "Out Take". Richie's new album "Change" will be released on March 19th in Japan. 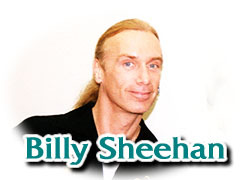 Billy and Pat played on the bonus track. Richie's new album "Change" will be released on March 19th in Japan. Pat played on this album. PMB 251 / Purple Pyramid Records / 2002 / U.S.A.
Eric's acoustic album "Pure" was released on November 20th in Japan. 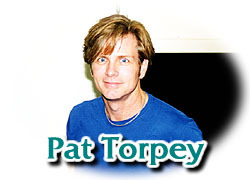 Pat played on Pink Floyd tribute album "An All Star Lineup Performing The Songs Of Pink Floyd". It was released on September 3rd in the States, and on November 7th in Japan. Richie's new album will be released in mid-March, 2003. Interviews for MR. BIG BOX with Billy, Eric, Pat, Richie and Paul. Eric's "I'm Goin' Sane" was released. 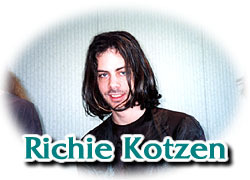 Young Guitar Special Issue "100% Richie Kotzen" will be issued on December 2nd. Eric's new acoustic album "Pure" will be released on November 20th in Japan. Eric's new CD "A Holiday Gift" will be released on November 11th. It will be an acoustic album of a couple of Mr. Big songs and old and new EMB songs. 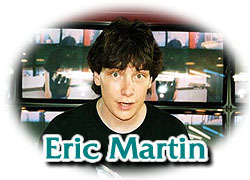 Rock Bridge, TV program in Chiba, Japan, will broadcast a special program for MR. BIG and Eric Martin on October 1st and 8th.